W9280 Taintsville Road Black River Falls, WI. | MLS# 1517997 | Clearview Realty in Hatfield Wisconsin. Helping Hunters, Families, and ATV'ers list or buy property for 15 years. Serving both Wisconsin & Minnesota. Move in ready 2BD/1BA country home with new paint throughout, renovated bathroom and some updates in the kitchen. Maintenance free vinyl siding and many newer vinyl windows. This trailer home sits on 1.14 acres that offers a nice open floor plan with a living room, family room and screened in back porch. 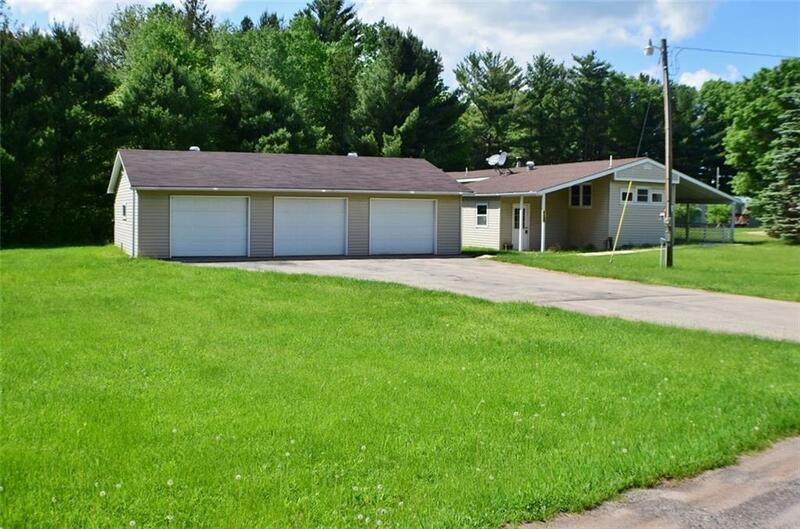 3-car detached garage is insulated and heated and it is within walking distance to Perry Creek flowage for some amazing fishing!